Please Don’t Like This – 2015 | JONAH BRUCKER-COHEN, PH.D. 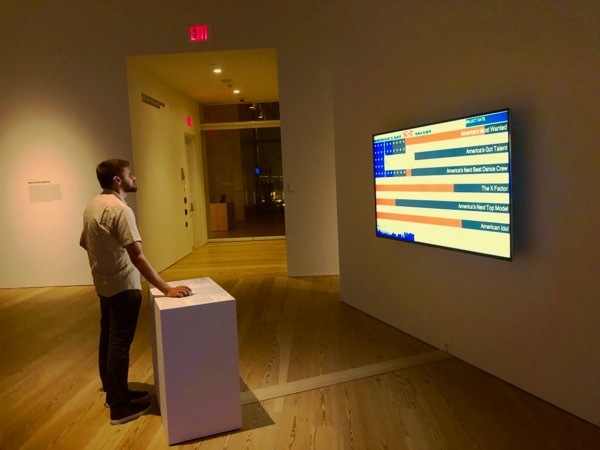 Please Don’t Like This – 2015 – JONAH BRUCKER-COHEN, PH.D.
What does it mean when we click “Like”, and what compels us to want to click or not click? Please Don’t Like This is an experiment in how individuals and groups perceive and act on social media voting. Has clicking the “Like” button become an addiction to people in order for them to maintain their presence among friends in social networks? The project’s aim is to test your will power (or lack thereof) to avoid clicking the “Like” button even when directed to do so. It further tests your self-control by showing you a constantly updating count of those who failed the test before you. Can you resist clicking “Like” when told how many failed before you? Are you influenced by the pulsating “Like” or the large metric count? 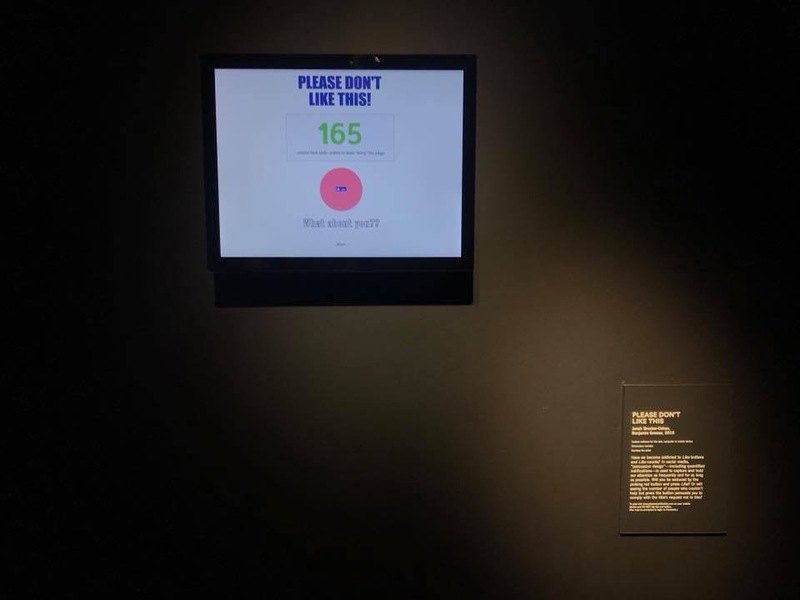 “Please Don’t Like This” installed at the Science Gallery London, “Hooked” exhibition, Sept 21, 2018. The “Like” button has become a primary mode of communication, indicating preference, presence, and/or agreement. The number of “Likes” we receive affects how we are perceived in our social circles and how others view us and value our friendships. It has also become a form of social currency and addiction that ranks and quantifies us among our peers. The more “Likes” people receive on their posts the more social capital they hold, thus raising their profile and visibility around the Internet. But what does a “Like” really mean, and how much of a click is voluntary vs. automatic? Try not to “Like” this page.